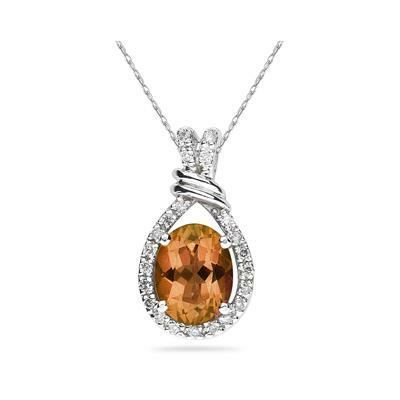 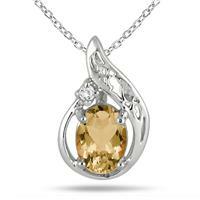 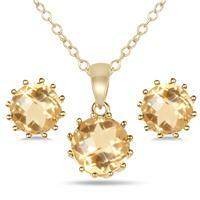 A stunning 9x7 mm Oval shaped Citrine perfectly set with a dash of diamond sparkle. 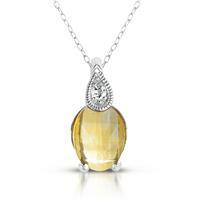 An exclusive piece of jewelry sure to be treasured forever. 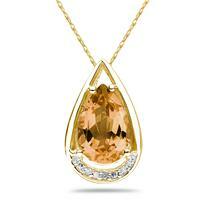 22 round diamonds weighs .16 ct, color J-K-L, clarity I2-I3. 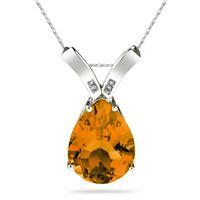 10k white Gold setting weighs approximately 1.86 grams and hangs from a 18 inch rope chain also crafted in 10k white gold.